Blodbylgje by Kati Ran was released in December 2018. It features the renowed Norwegian blackmetal vocalist Gaahl. Change is a force of nature. 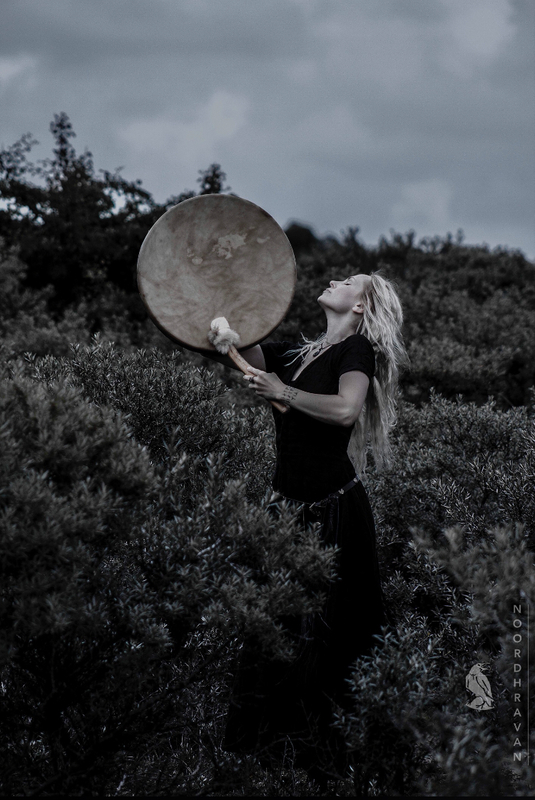 When paganfolk singer and multi-instrumentalist Kati Rán dissolved her band L.E.A.F. in 2015 to embark on a solo project RÁN, it was so that a new, more primal vision could emerge, unbound by conventional song structure and tuned to the vast dynamics where intuition and the elemental meet. That vision is about to surface with the release of the track, Blodbylgje. Delving deeper into Nordic mythology and the perpetual currents that course through them, it’s an immersive, 15-minute séance, featuring guest vocals from world-renowned Gaahls Wyrd frontman Gaahl, that takes the metaphor-rich environs of the ocean as both its thematic and sonic guide. Restless yet meditative, finding its bearings in glacial yet ceaseless flow and flux, it’s bound to both the rhythms of the ancient Nordic Eddas, and the enigmatic essence of its spiritual guide, Blóðughadda – one of the nine, sea-personifying daughters of Ægir and Rán, said to represent the ‘bloody hair’ red crest of the waves. Recorded at home and in the studios of Heilung’s Christoper Juul and former Enslaved keyboard player and vocalist Herbrand Larsen, Blodbylgje doesn’t seek to recreate ancient forms, it’s an act of regeneration. Kati’s velveteen, trance-borne reveries, incantations and stern, spoken word narration, merged with the abyssal undertow of Gaahl’s baritone chants, chart a new and expansive set of sonic co-ordinates. Awash in susurrating drones drawn from oceanic overtones, and the creak and distant crash of ropes and waves, Blodbylgje re-imagines the sea as mercurial and enriching, amniotic medium. A fever dream that unloosens the boundaries of consciousness, it retunes itself to both the unfamiliar beyond and earlier, residual states of awareness within. A herald of a larger work to come, Blodbylgje is the embarking of a journey that has already ranged past all know marker points. It begins here, as a whisper to reawaken the core. RÁN is a Dutch vocalist performing mostly in Nordic languages. In her work she utilizes a variety of historical folk instruments, such as the Swedish Nyckelharpa, Hammered Dulcimer, Norwegian Kraviklyra, (overtone & bone) flutes, Finnish Kantele, percussion instruments and skin-drums. "From the start is has been my intention to make music that carries the power to reconnect people back to nature, to their history and to each other, while sounding fresh and pure as Nature itself." Currently Rán writes on a new album. No further live shows are planned during the writing and recording process. 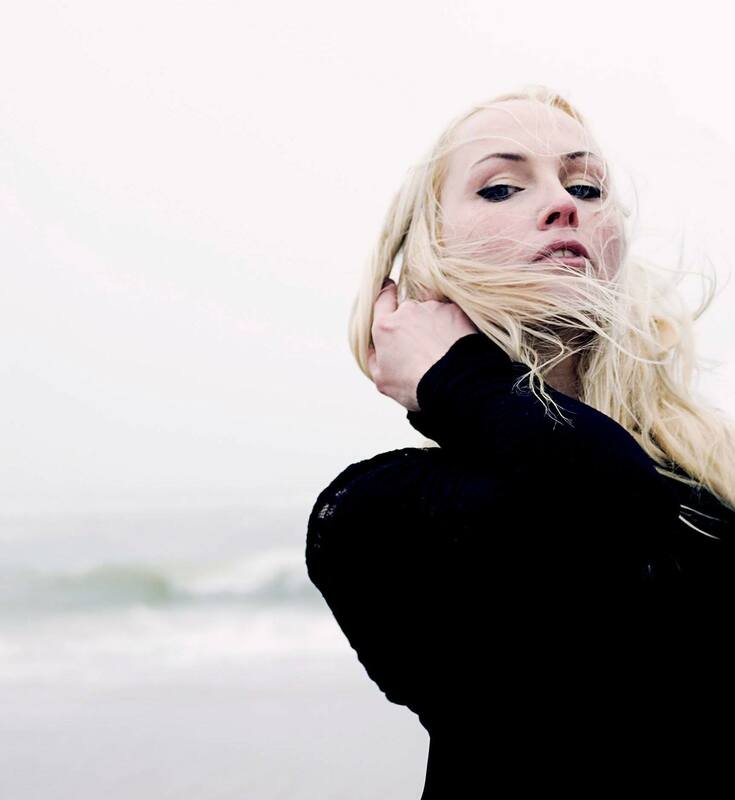 - Kati Rán is a self taught Dutch vocalist and folk instrumentalist singing Nordic and self written repertoire. With RÁN she currates all aspects of the project; from composing and lyrical writing to produced end-products and promotional videos. - RÁN performs on a variety of historical folk instruments, such as the Swedish nyckelharpa, hammered dulcimer, Norwegian Kraviklyra, (overtone & bone) flutes, Finnish kantele, percussion and skin drums. - 2018 RÁN recorded vocals, nyckelharpa and percussion for the cinema Viking film Redbad by director Roel Reine. Audio production by composer Trevor Morris. - 2017 RÁN appears live as one of the folkmusicians for Myrkur's Folkesange Tour and as a special guest on shows of Gaahls Wyrd. - 2017 RÁN was asked to perform as a Völva for the opening act for MYRKA during the Reykjavík Fashion Festival 2017 at HARPA concert hall in Iceland. Together with local producer Bjarki Hallbergsson, Ran created a custom vocal performance and a new track to open the press & invitee exclusive showcase. A völva was considered a very powerful female shaman and seer in the Norse mythology. The theme was to reflect Icelands' Norse mythology, the textures and threads of the Icelandic landscape and it's Viking ancestry. - 2016 Release of RÁN's music videos Suurin and Vinda.. Suurin was directed by Ran with a professional film and editing team of INVITE-AV at hand. The musicvideo Vinda was created in collaboration with the artist Helisir, filmdirector Nick Steinbuch, TwinRune studios NL and post production and audio mastering by Christopher Juul. - 2016 Nyckelharpa recordings were made by RÁN for the Danish black metal vocalist MYRKUR for several tracks of 'Marerid' at LAVA Studios by Christopher Juul. - 2015 Recording and release of the successful full length, solo album LYS with Christopher Juul on board as her producer, recorder and arranger at LAVA studios DK. - 2012 Release of the five track debut EP 'Leaf'. Recorded by producer and recording engineer Fieke van den Hurk with the original band members of L.E.A.F. - 2011 Release of the co-founded dark-folk project FOLK NOIR, together with Oliver S. Tyr (FAUN). Together they released a five track debut Ep ' Songs from Home', recorded in Ran's living room. Their music was performed live until end 2014 with Kati Ran on board. - 2010 Founding and publication of the first nordic project L.E.A.F with the debut single Nymånen. Upon request Ran has worked additionally as booker, artist & tour manager under the name 3Norns Productions. Regarded clients and friends previously worked for are Heilung (DK), Euzen (DK), Songleikr (DK/NO), Fiona Frewert (DE) and Dutch bookings for Kaunan in 2014-2015 (DE). © 2017 Kati Ran | LEAF MUSIC | KvK Nr. 60204060 | The Netherlands. All rights reserved.